Joss Whedon and Drew Goddard present a twisted and unusual take on the familiar "cabin in the woods" formula. The Cabin in the Woods has scared up quite a lot of interest in the Joss Whedon written film. The horror flick starring Chris Hemsworth has also given us quite a few stellar movie quotes. 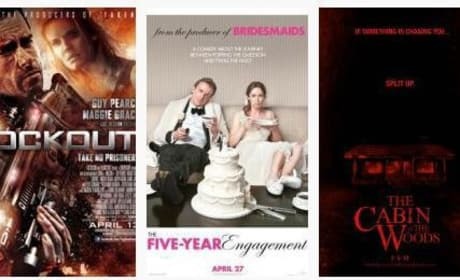 The weekend of April 13, 2012 at the movies has a trio of contenders for the title of box office champ held by The Hunger Games. The Three Stooges, Lockout and The Cabin in the Woods all could finish the weekend on top. The Cabin in the Woods Movie Review: Check In! The Cabin in the Woods, starring Chris Hemsworth, has rocked our world. The Joss Whedon and Drew Goddard film is as original as they come. 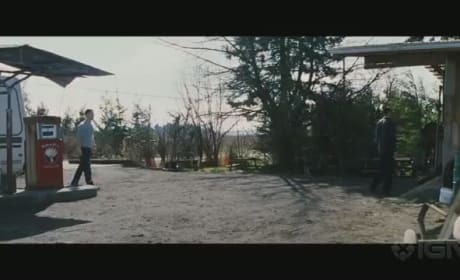 The Cabin in the Woods has released two new videos to get audiences in the mood for the horror flick. We've got a new trailer and a clip featuring Chris Hemsworth. Cabin in the Woods has released four new images from the crazy inventive new thriller. 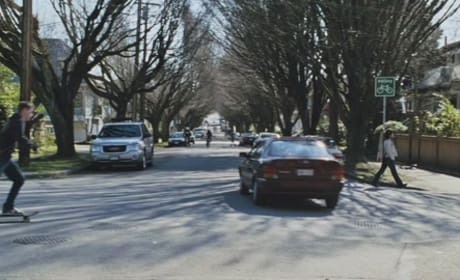 This is no haunted house movie, Cabin in the Woods is so much smarter than that. The Cabin in the Woods has unleashed its first clip from the horror film. Chris Hemsworth stars as the leader of a group of friends heading off for a weekend in the woods. The latest TV trailer for The Cabin in the Woods only terrifies us further. 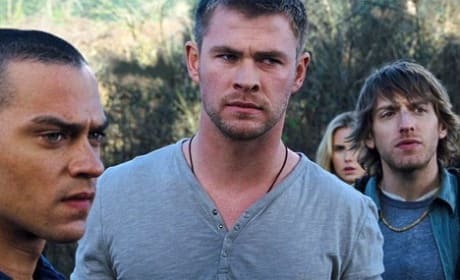 The film features Chris Hemsworth leading a group of friends into a horrifying week in the woods. The Cabin in the Woods trailer has premiered and it has The Avengers' Chris Hemsworth scared for his life. The Cabin in the Woods is from producer Joss Whedon, otherwise known as the director of The Avengers. 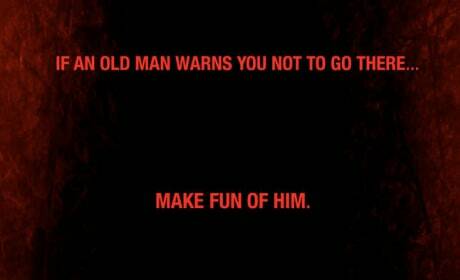 Three Posters for The Cabin in the Woods! Joss Whedon and Drew Goddard have some mischievously funny advice for campers.